...and why do we need banks, anyway? 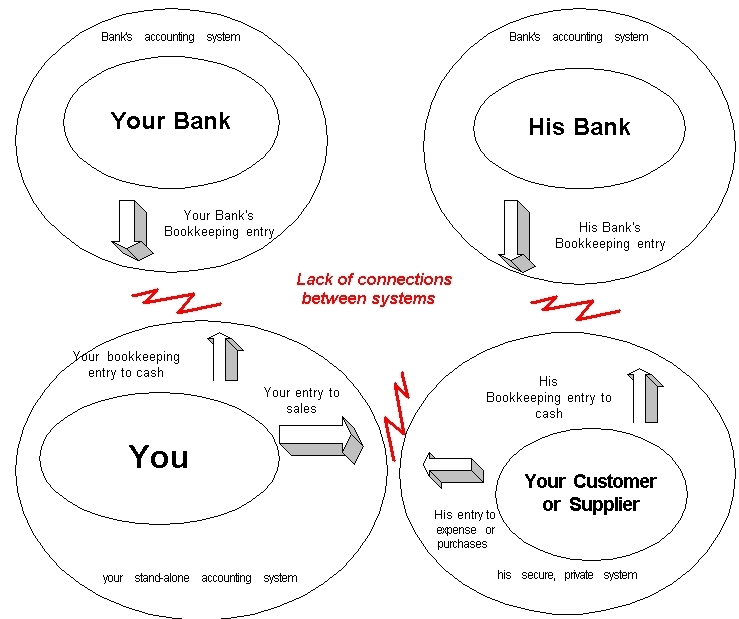 Reconciliation of redundant systems would be impossible due to lack of connectivity between today's accounting systems. However, there is no possibility that "reconciliation modules" at these interfaces will ever save significant labor. The lesson of replication technology is that even sophisticated replication schemes by same-vendor systems seldom succeed. Replication is intrinsically prone to error, and not feasible as a foundation of reconciliation of all the world's dissimilar and unconnected systems.